Back at the time of UDS we reported that from Oneiric onwards, users will be able to update their graphic drivers on time without having to wait for another six months for a newer Ubuntu release. 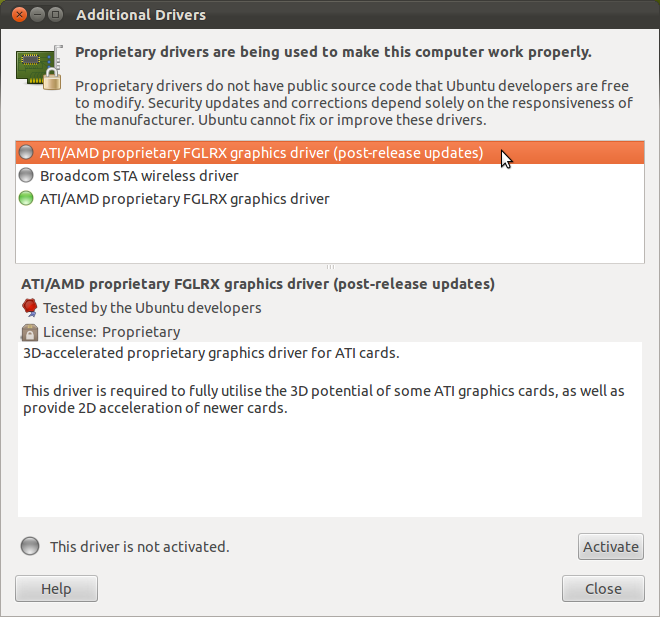 These updates are already here as driver updates for both NVIDIA and ATI have been made available after final freeze. These are still opt-ins and not mandatory updates. To install these, just launch Jockey from Unity dash. 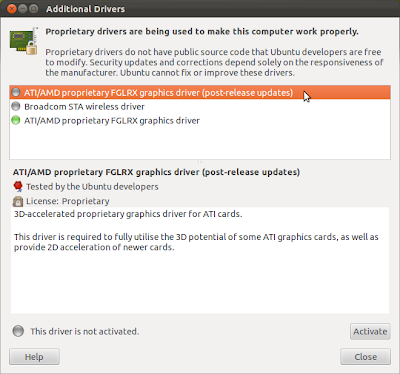 Please note that these driver updates will provide only stable versions released by NVIDIA and ATI and not any beta or testing versions.